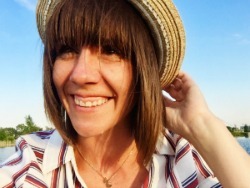 Welcome everyone to A Pinteresting Wednesday! 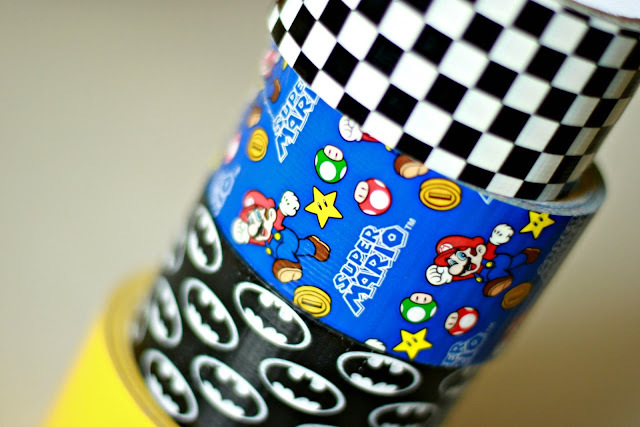 Do you remember when duct tape only came in like two colors?? How boring was our life? I recently was in charge of an activity for the girls at my church. I remembered having a friend a couple of years ago make duct tape wallets with a group of girls. With all the really cool duct tape available now, I thought that would be a really fun thing to do with my girls. I had never made one so I went to the best place available to find the instructions. 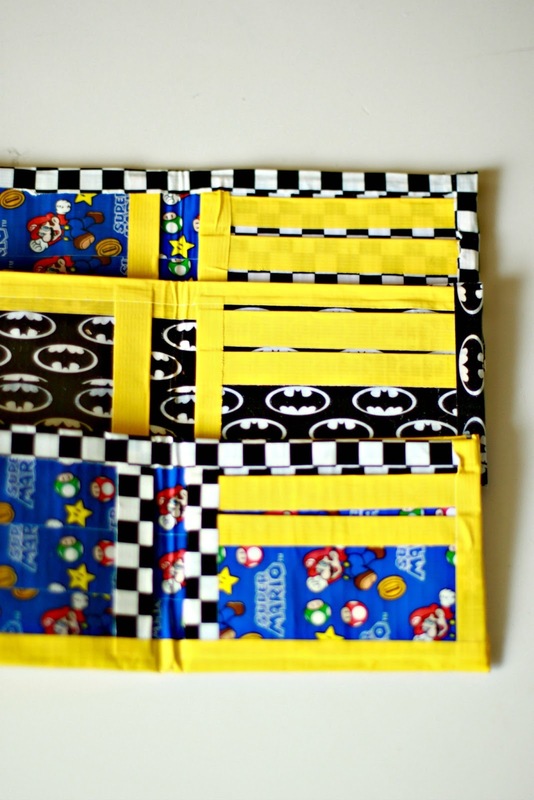 I went to Pinterest and typed "duct tape wallets" in the search box. Several options came up, and THIS tutorial from Crafty Nest seemed to one that had a lot of pins, and links back. So this one was the tutorial I went with. 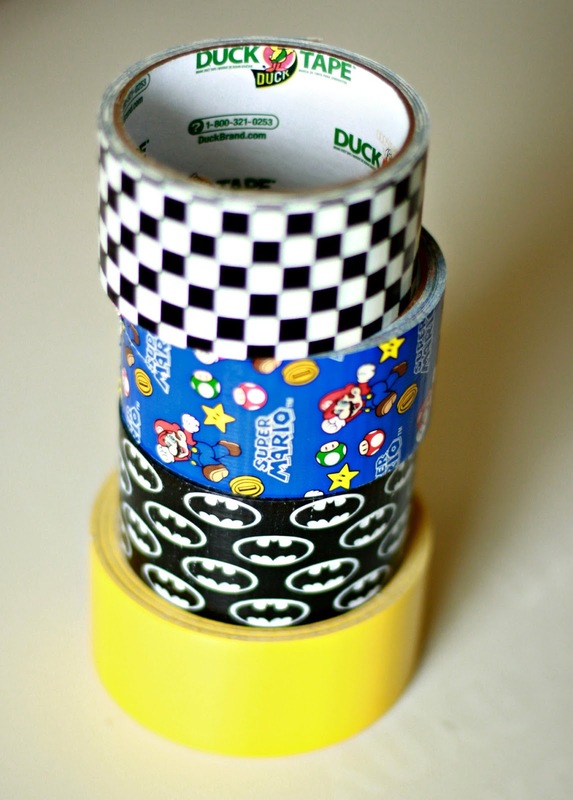 I went to pick out some girly Duck tape and then was faced with the most awesome boy Duck tape EVER. I suddenly realized that I should probably create a couple of test wallets before teaching my girls. So I decided I should probably purchase some awesome boy duct tape and make some wallets for my Little Men. I mean, seriously, did you see this Super Mario Brothers tape? How awesome is that? 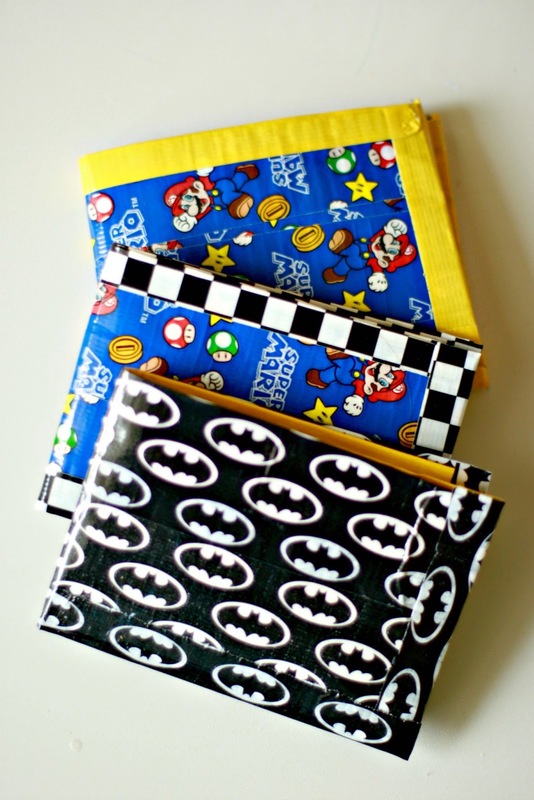 So I busted out three duct tape wallets. In the original tutorial, she says it will take you 45 minutes to make one. I think that is more time for sure. The first one will take a little longer as you figure out what you are doing, but then the multiple ones I just busted out. I played around with mixing and matching. Seriously it was really fun. My boys were kind of obsessed with their wallets. Their first question was, "how much money can I have to put in it?" Then I nicely informed them, "uh, none. But I love you and you have a really cool wallet." I am not sure that is the answer they wanted. Hahaha. This was a super fun project, and Crafty Nest has a pretty easy-to-follow tutorial. Not only did my boys love their wallets, but my girls had a blast. Their wallets turned out great. They immediately asked if they could make more. Unfortunately making wallets with a fun and giggly group of girls will take a little longer, so they only had time for one wallet...at least for that night's activity. 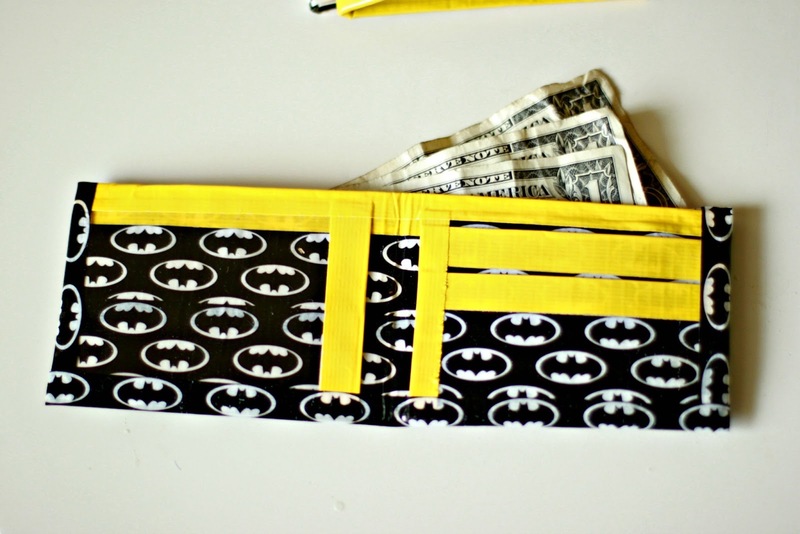 There will probably be more wallet making in the future. How has Pinterest helped you plan an activity? Pinterest just has so many ideas all in one place. Your boys have to be in love with those! Super fun! Im a Pinterest follower, you have alot of great boards! Mom you are too cute. They I am quite positive will not say no to more money! Hahaha!